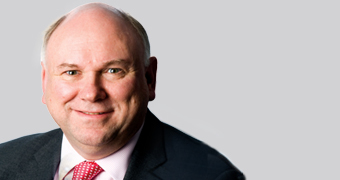 Speech by Clive Adamson, FCA Director of Supervision, at the FCA Asset Management Conference, London. This is the text of the speech as drafted, which may differ from the delivered version. A sector where the UK is recognised as a leading player, serving millions of customers around the globe, contributing around 1% of UK GDP and employing tens of thousands of people across the UK. It is also both a promoter of savings products, key in a society that doesn’t save enough, and an investor of £5 trillion in the UK and global economy. Good morning ladies and gentlemen. I am very pleased to be here to talk to you about one of the most diverse and sophisticated sectors we have in the UK – the asset management sector – and the FCA’s drive to ensure it is fair, transparent and competitive. I will outline our vision for this sector, how our supervision model has changed to facilitate this and some of the progress we’ve made so far. But before I do that, I want to echo Martin’s words earlier about the global reach and importance of this sector for the UK – it is a sector where the UK is recognised as a leading player, serving millions of customers around the globe, contributing around 1% of UK GDP and employing tens of thousands of people across the UK. It is also both a promoter of savings products, key in a society that doesn’t save enough, and an investor of £5 trillion in the UK and global economy. This is why we have been supporting the Treasury to strike the right balance between maintaining a proportionate and measured regulatory approach and encouraging opportunities so that we continue to enhance the UK’s position as a global leader in this important industry. Today’s conference is the first that we have hosted since the formal creation of the FCA some seven months ago and I hope you have started to see how different financial services regulation will be going forward. We are more judgement based, forward looking, and outcome focused. What this effectively means in practice is that we are developing a deeper understanding of the sectors we regulate and what consumers, both wholesale and retail, are really experiencing. We are also more curious to understand how firms make their money, and using more data and intelligence to join the dots and head-off risks before they crystallise to cause consumer detriment or damage market integrity. When things go significantly wrong in a firm, it is not because it hasn’t complied with a set of narrow regulatory rules, but because there is a fundamental flaw in the business model, in the culture or business practices. This philosophical change is important because in our experience, when things go significantly wrong in a firm, it is not because it hasn’t complied with a set of narrow regulatory rules, but because there is a fundamental flaw in the business model, in the culture or business practices. So we need firms to ask themselves the question: ‘should we’ carry out a certain activity as well as ‘could we’ do it. To put it another way, ensuring your firm operates to the highest standards is a cultural question not a control or process challenge. It requires, therefore, in our view more than good controls but an approach that puts the interests of the customer from top to bottom in how the firm is run. This means how business strategies are developed, how front-line processes are designed, and how individuals are compensated. We have also introduced a change of emphasis in our strategy for the regulation of wholesale markets. We will continue to ensure wholesale markets are resilient and participants act with integrity, rather than seeking to introduce concepts of detriment and redress that we use in retail markets. But we do accept that there is a continuum between wholesale and retail markets and we will take an interest in the transmission of risks throughout the value chain to the end consumer. Also, we recognise that widespread poor behaviours in wholesale markets undermines our market integrity objective. Specific recent examples range from the serious damage to market integrity resulting from conflicted or abusive practices in relation to benchmark setting. Before I move onto our strategy for the asset management sector, I want to touch on what underpins all of this. It is clear to us that meeting our requirements is heavily dependent on a culture of the firm that sees the interest of the customer as paramount. This needs to be led from the top of the firm and needs to much more than what could become vague corporate aspirations. It needs to be grounded in clear business practices or standards that can be easily understood and operate as guide to all levels of management when judgements need to be made about what is acceptable and what is not. While the FCA doesn’t assess culture directly, we are drawing conclusions about culture from what we observe about a firm – in other words, joining the dots rather than assessing culture directly. This can be through a range of different measures such as how a firm responds to, and deals with, regulatory issues; what customers are actually experiencing when they buy a product or service from front-line staff; how a firm runs its product approval process and the considerations around this; the manner in which decisions are made or escalated; the behaviour of that firm on certain markets; and the remuneration structures. We are also looking at how a board engages in those issues, including whether it probes high return products or business lines, whether it understands strategies for cross-selling products, whether it understands how fast growth is obtained and whether products are being sold to markets they are designed for. We want to strike the right balance between maintaining a proportionate and measured regulatory approach and encouraging opportunities. I want now to turn my attention to how we are thinking about all of this in the context of the asset management sector. We have developed a strategy for the sector which is focused on your role as trusted agents. Martin covered some of the key aspects in his speech earlier, but to reiterate my earlier comments – we want to strike the right balance between maintaining a proportionate and measured regulatory approach and encouraging opportunities, so that we continue to enhance the UK’s position as a global leader in this important industry. And we have already taken steps internally to help achieve this. We have committed to speed up the fund authorisations process so that asset managers know in a timely manner the outcome of their application. By April 2014, we will have reduced the timeframe for non-UCITS retail schemes to three months and for Qualified Investor Schemes to two months. Additionally, from April 2015, these will be reduced further to two months and one month respectively. We have also undertaken to improve our service for UCITS schemes, with 90% being authorised within six weeks from April 2014. We believe this is in line with our commitment to support this key industry and make the UK an attractive jurisdiction to do business in. And when we think about how we create the right regulatory environment for the industry, we believe the best way is to ensure that the industry as a whole operates in a way that deserves the trust that millions of investors place in it - and that it deserves a reputation for being fair, transparent and competitive. So let me explain what I mean by each of these in turn. We are addressing each of these key areas through firm-specific and thematic work. Our work on conflicts of interest assessed asset management firms’ arrangements for managing conflicts of interest and was brought to life through the ‘Dear CEO’ letter published last year. This work identified a number of issues in relation to the purchase of research and trade execution services on behalf of customers, the way firms managed gifts and entertainment services, and how firms ensure that all clients receive fair access to the same opportunities. We asked firms to attest to us that they manage conflicts effectively and following a review of these, we are pleased with the level of engagement prompted by senior management. But the underlying issues which we identified continue to drive the future international, domestic policy and supervisory work which Martin has spoken about. We are also undertaking work on governance and charges within collective investment schemes. This aims to assess whether there is adequate oversight, in the interests of investors, of the way charging structures operate within funds, and whether consumers are being disadvantaged due to unnecessarily complex descriptions of charges in the current disclosures. This thematic project is well underway and we aim to publish the findings in the New Year. And finally, we are aware of the impact that the Retail Distribution Review, which came into effect at the start of this year, has had on your businesses and are working hard to make sure that this leads to real changes in the market to benefit consumers. Turning now to transparency, Nobel-Prize winning economist, George Akerlof, commented that ‘in a market plagued by asymmetries of information, the quality of goods will decrease and the market will come to be dominated by crooked sellers and gullible or desperate buyers’. The point I want to make is not that this describes the asset management sector but that we are working towards ensuring clients have a level-playing-field when it comes to accessing information so that they can make informed and intelligent investment decisions. Martin spoke earlier about the use of dealing commissions and the costs of research, particularly whether bundled charging structures impose potentially unnecessary additional costs on investors. We are today welcoming a debate on this and look forward to engaging with you in the months to come to help shape our thinking and help the FCA form its position in the EU negotiations on revisions to the Markets in Financial Instruments Directive (MiFID) in 2014. As Martin mentioned, we will also shortly start a thematic review following up on the conflicts of interest work we did with asset managers last year. This review will also seek to understand better the practices of both the buy and sell sides around dealing commissions. The first is our work on transitions management, where we have looked at whether poor transparency and opaque legal documentation could lead to poor consumer outcomes in the provision of this service. What we found is that the asymmetry of knowledge between providers and customers, combined with the potential for conflicts of interest to arise on such complex and fast moving transitions mandates may lead to adverse outcomes. While transparency remains a problem within transitions management, we believe the provision of more data and greater customer understanding is empowering customer decision-making and will be working with providers and customer groups to ensure improvements continue to be made. The second is our work on custody banks’ ancillary services. This, first, assessed the importance of ancillary services to the business models of the custody banks in the UK; and, second, considered whether their reliance on these, and an apparent lack of transparency, might lead to inappropriate behaviours. This is important, given that for some of these banks, ancillary services represent some 40% of their revenues, without which it is likely that their core offering of custody and fund administration would be unsustainable at current prices. I am pleased to say that we did not find inappropriate behaviour taking place and have concluded that standards and transparency across the industry have improved over the past few years. This has been primarily driven by competitive pressures leading to improvements in services, and by clients being better informed about the potential risks and having better data. But while the custody banks have responded by improving their service levels and introducing more transparent products, it still remains important for you, as the buy-side, to continue to ask questions when you are not satisfied. You need to continue to hold the custody banks to account to ensure you are getting the services expected at the correct price, just as you would do for any third party provider. The final area I’d like to turn to is competition, which as many of you will know is the newest of our operational objectives. The aim of our overarching approach is to determine whether a lack of competition in a particular market is the cause of detriment to consumers and if so, to work out how that can be remediated. As such, it is complementary to our other work and an additional way we can improve outcomes for consumers. The way we assess competition is through market studies, as opposed to thematic projects, which could result in using our regulatory powers to improve how markets work or refer issues to the Office of Fair Trading (OFT) and in future the Competition and Markets Authority (CMA). So far, we have launched two: one looking into the general insurance add-ons market and one at the cash-savings market. We continue to think beyond those, however, to determine where else we should undertake further studies. I hope you found my talk today helpful. The asset management sector is a success story for UK plc and we want to continue to play our part in supporting its growth and success. In turn, we want an industry that is fair, transparent and competitive. What you will get from us is a commitment to work with you in achieving this.